Brent goes back a long way with the Lawrence brothers, having joined in 1998 after a chance conversation with Joe Lawrence. 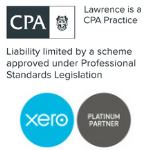 ‘Lawrence’ was founded by Joe as an accounting firm in Fremantle called Lawrence & Co in April 1996. Cameron started with Lawrence on 26th July 2004 originally as an Accountant, he was appointed as an Accounting Director in January 2016. Reegan started with Lawrence in the early days of the firm, back in 1999, he was appointed as an Accounting Director in January 2016. Nathan originally started with Lawrence in 1998 as a graduate, he was also appointed as an accounting Director of Lawrence in January 2016. Adriano joined Lawrence in 2001 originally as an Accountant, he was appointed as an Accounting Director in January 2016. Janelle has been with the firm since November 1997, and apart from Joe, she is the longest serving member here at Lawrence. Michael is an Accounting Manager who has been with Lawrence since March 2013 and has excelled in his role as Manager with a large focus on hospitality, manufacturing and building. With over a decade working in various accountancy roles covering primary production, property development, entertainment, professional services and building and construction, Phil has brought a wealth of experience to his role at Lawrence. With six years’ experience in helping Lawrence’s clients with the full suite of their tax preparation, financial reporting, account reconciliation, corporate tax and strategic financial planning needs, Cale is passionate about helping businesses thrive in the Perth market. With over 8 years experience in advising SMSFs, Amit joined Lawrence in August 2014 to head up our specialist SMSF team. Steve Neuwert is new to the Lawrence family, but with his love of sports and his work-hard play-hard attitude, he fits right in. Ben’s aim as a financial adviser is to help his clients articulate their personal goals and work closely with them to achieve these over the short to long term. Ben is specialised in the provision of investment, superannuation and wealth protection advice, with a focus on tax minimisation strategies. Ryan has over eight years’ experience in banking and finance. He has previously worked for the Commonwealth Bank of Australia in migrant banking and joined the finance broking industry in 2012. Kelly has a wide range of knowledge and experience in sourcing the best value opportunities for many of our clients in finance for cars, plant & equipment, trucks and boats as well as Commercial and Residential property finance. Get in touch today while it’s fresh in your mind.